Management is omnipresent. It is all around us. From our daily activities to our professional lives, everything requires management. Only through effective and productive management, we can achieve the desired outcomes. Some people are a pro at managing. They possess excellent leadership skills as well as managerial abilities which make them unique. In the corporate business world, there is a huge requirement of a candidate who is good at managing multiple things. The reason for this is the highly complex and challenging conditions prevailing in the business industry. There is a constant increase in the number of talented and skillful people and so are the job opportunities. There is a race for success and all try to reach the highest point. In order to sustain a job in the ever growing and competent business industry, you need to be an expert in that particular field. But the basic quality that is a per-requirement for all the corporate is ‘Management and an in depth knowledge of executing it in reality’. The route to this is through an MBA degree. 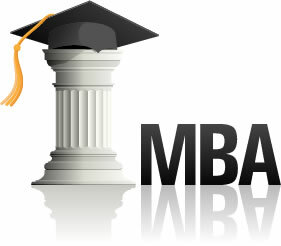 There are many B-Schools who provide an MBA degree with their own specific differentiators. Each one has something different and new to offer the students. There are many marketing traps also hence before finalizing a particular B-School, analyze all the aspects deeply. You can also do a specialized MBA program. You undertake a learning program with an objective of acquiring a secure job in the future. Get closer to your dream job: when you are an MBA professional and especially when you do a specialized MBA program, it opens the doors of working with a multinational company and other big corporate. They are in constant look out for MBA aspirants to fulfill their needs of work expertise. Your dream of having a high paying and secure job can become a reality through an MBA program. It is on high demand even in the International Business Industry. Career shift: If you are already working in an organization on a particular designation but want to upgrade yourself on a higher and better position of your interest, then an MBA program is what you need. Sometimes, we lack the educational qualification required for the post of our choice. After an MBA degree, this problem gets sorted. You can even choose the specialization as per your interest area and then pursue the career you always aspired for. Explore global level career opportunities: Through an MBA degree, you get the opportunity of exploring jobs in the global markets because the corporate there also need professionals having specialized knowledge in the required field. Offline or online- choice is yours! An MBA program can be pursued in two variations; traditional classroom mode (Full time) and online mode (part time). You can choose the mode in which you are comfortable and learn at your own speed. The working professionals can opt for an online MBA program and make the most of your time and other resources. An experience teaches you a lot. Hence, only after you pursue an MBA degree from a renowned B-School you will realize how enriching and fruitful this journey is. iFEEL institute at Lonavala is the best place to give you this remarkable experience. This unique and extraordinary Residential B-School was established in 2010 by the Global Education Trust. From then, iFEEL has transformed the lives of many students by imparting quality education to them. It has the best in class infrastructure with the most appropriate campus facilities that contribute to the smooth and efficient learning of the students. It is one of the best AICTE approved colleges in Pune. It is possible to move from darkness to light only with the help of a steady and bright flame. Make iFEEL the flame of learning and let it take you from the darkness of ignorance and unidentified potentials into the light of a brighter and opportunistic future!! !